The King of Stats has already given his verdict on the King George VI and Queen Elizabeth Stakes and we’re all right behind him with Telescope our nap on day two. Check out our best bets ahead of one of the jewels in the British Flat racing season’s summer calendar. We’ve already spoken at great length about Telescope’s chances on this site but that’s not going to stop us talking up TELESCOPE. The four-year-old was mightily impressive in landing the Hardwicke Stakes at this track last time out, a welcome return to form following two near misses earlier in the season. Oaks winner Taghrooda is being spoken about as the main danger but Aidan O’Brien’s Magician is one who can’t be discounted given his background. A highly competitive field has been assembled for this contest with many in-form contenders holding leading claims. William Buick will take to the fancied Billinsgate, a hat-trick chasing charge who will have to overcome a 4lb rise following victory in a decent contest at Sandown last time out. Trainer Hughie Morrison won this race in 2012 with Chil the Kite and will have ambitions of doing so again with the progressive Baltic Brave but our preference goes to Paul Hanagan’s mount, KAFEEL. An easy winner over a mile at Ffos Las on his previous appearance, the Roger Varian-trained charge looks to be one on the upgrade and should go well again here. We couldn’t ignore the second biggest race of the day, especially given the potential value to be had. Seven of the last 10 renewal winners have been four-year-olds which is another tick in the box for antepost favourite Horsted Keynes. 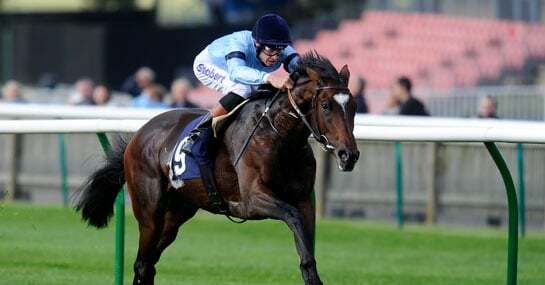 But if you’re after a charge in the same age bracket offering even bigger odds then MAJESTIC MOON may well fit the bill. Paul Hanagan will be aboard the recent Musselburgh winner, making his second appearance at this track following a game performance in last year’s 27-runner Future Stars Handicap.